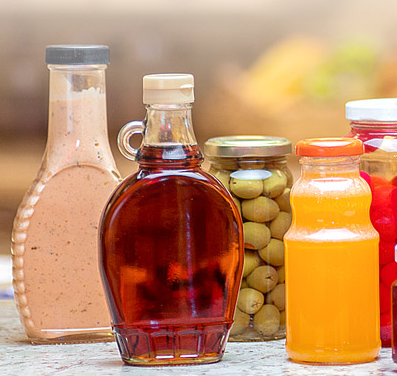 Glass bottles are common in life and can be used to store all kinds of products. Such as Glass Cosmetic Bottles. Glass bottles need to master mature technology in the process of processing. If there is any problem, you should solve it in time so as to produce qualified glass bottles. There are many matters to pay attention to when adding broken glass in the production of glass bottles. If there are problems that need to be solved according to the situation, the following is a detailed introduction for everyone. When the colorless broken glass is used, it is necessary to add enough colorant into the ingredients. Sodium oxide is introduced in the form of sodium carbonate during the smelting process. The volatilization of sodium oxide is about 3.2%, and sodium oxide is introduced in the form of sulfate. If you use the purchased colorless sodium-calcium broken glass, you need to customize the quality standard of purchased broken glass, and choose the high-white bottle glass with similar design composition to the sea blue glass. The source of goods should be relatively stable to prevent the metal concrete block from mixing into the purchased broken glass composition. The imported amount of purchased broken glass is calculated to adjust the composition of silica, alumina, calcium oxide, sodium oxide and other components, and adjust the composition of the mixture accordingly, so that the composition of the mixed glass meets the design requirements. Glass Vodka Bottle manufacturer shares that the addition of broken glass will only increase the proportion and lead to the difficulty of clarification. After the adjustment of chemical composition, the relationship between the viscosity and temperature of glass needs to meet the requirements, and the amount of clarifying agent should be added to the glass mixture. The proportion of broken glass with clarifying agent is relatively high. It should be regarded as the main raw material of glass and treated carefully to ensure the quality of broken glass. The above is the introduction of matters needing attention in the production of glass bottles with broken glass. In order to avoid waste, an appropriate amount of broken glass will be added. However, attention should be paid to the processing process so as not to affect the production quality of glass bottles.